Welcome back dear..awesome halwa...it looks amazing..
winter dessert. darun baniecho ar khub cute presentation. between have tagges you last week. please check at my blog. Would love to grab those cute molds. The halwa looks delicious. wow! what a lovely presentation and the gajjar halwa looks so appetising and tempting. Welcome back dear! Carrot Halwa looks awesome..
Good to have you back! The halwa looks so cute and yummy! Delicious halwa and a beautiful presentation. Delicious halwa and awesome presentation Deepa. Halwa looks so cute and delicious.. nice presentation !! welcome back! the presentation is very nice! lov the halwa anytime! Hi dear,Welcome back..Halwa looks awesome,superb presentation. Lovely shapes. looks so good. SO you are back after a great vacation!! I am going to Calcutta for 10 days. I like this recipe. It is my all time favorite. I used to make a very rich version with ghee flooding, boil 1 Kg in 3 kg of milk etc..It was so tiring that I started buying from Market...Now I will try your version. But getting good Khoya in Delhi is difficult..
Glad to see ur back Deepa, extremely tempting carrot halwa, especially i love that fish shape..soo cute.. Welcome back Deepa. Gajar ka halwa looks so yummy..loved the fish shape. Glad to see you back Deepa..
very very beautiful halwa... you make a cool dessert all the more appetizing by your fantastic presentation... !! Hope u had a great time ... The halwa looks so yummy n i jus love ur presentation ... halwa fishes , really cute !!! Deepa, khoob sundor hoyeche tomar halwa...with gajar available in plenty this is a perfect sweet dish. Nice presentation. Glad to have u back Deepa!!! The halwas is too cute.. ;) Love the presentation as well as the texture..It is just how it should be..
Luv the halwa and the fish too!!! U have turned the carrot halwa soo prettily! 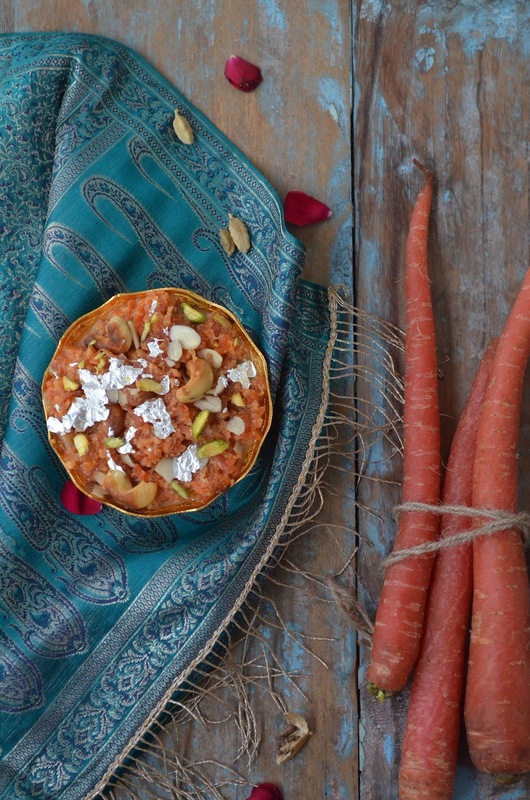 Wow I love carrot halwa..this looks so good and nice texture... Yummy!! 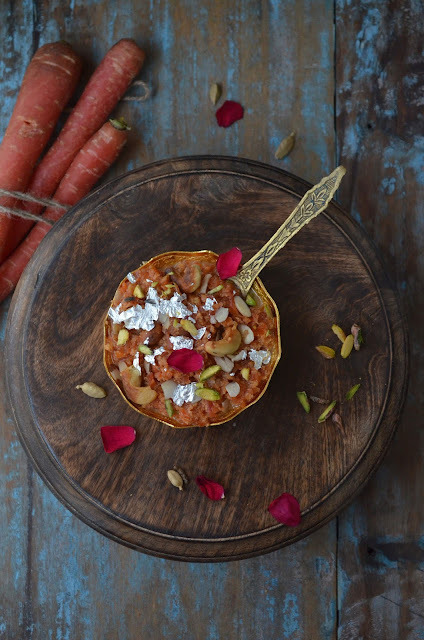 Delicious carrot halwa deepa..Nice Presentation. merry christmas to u n your family..